This content has a Natural Healing or Health and Wellness theme running through it. Chock full of tips on healthy living practices, you can focus your passive income strategy on things like yoga how-to books and videos; at-home exercise gear, clothing and accessories; programs that focus on healthy eating (Mediterranean diet is a good match for the advice offered here); and much more. 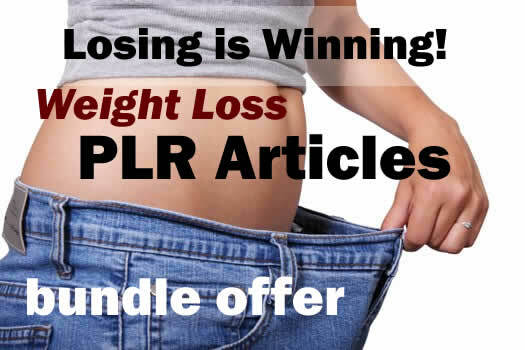 The "Losing is Winning: Lose Weight Without a Gym Membership" Pack is BRAND NEW PLR. The document contains 14 pages of content in MS Word with an 8,112 word count. This private label rights content on weight loss without a gym will work perfectly as an ebook where you add images and your branding. It can also stand alone as individual articles to post to your blog, or as a longer e-course that your subscribers can sign up for using an autoresponder for evergreen profit potential. PS: Warriors, want to promote this offer? Sign up as an affiliate on Warrior Plus!